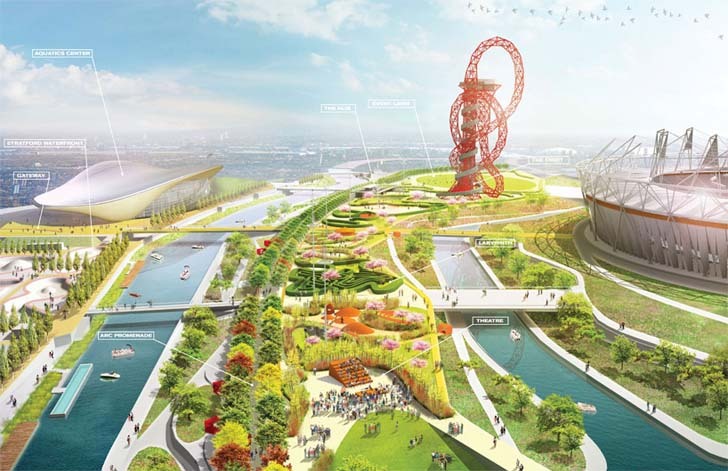 Future plans for London’s 2012 Olympic Park have been unveiled, and James Corner—the landscape architect behind The High Line in New York—will be taking his talents across the pond to turn the park's south plaza into 55 acres of “active spaces.” Due to be completed by Spring of 2014, the redesigned park will include areas for public performances, picnics and even rock-climbing within the vast urban green space. 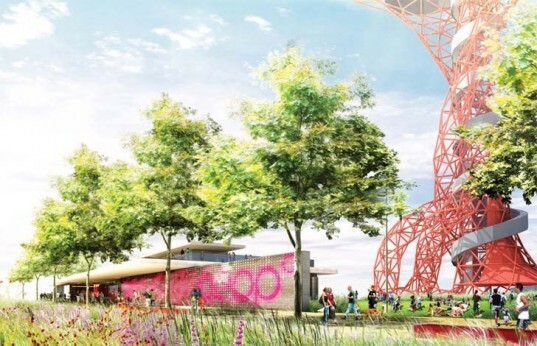 The redesigned Olympic Park will include a 12-metre wide tree-lined promenade that will open up to a series of outdoor “rooms”, separated by tall grasses. These active spaces will host a classic carousel, an amphitheater and a play space with a climbing wall. There will also be spaces reserved for picnics, concerts and other events. The design also includes the addition of variety of trees and plants native to the local area, with planting and horticulture by Piet Oudolf , who also lent his design talents to The Highline. We think London is pretty lucky to be receiving such talent! So for those of us who didn’t make it to the Olympic games this year—no worries—here is a reason to plan a visit to the park grounds for future years to come. The Park's design includes a 12-metre wide tree-lined promenade that will open up to a series of outdoor “rooms”, separated by tall grasses. The entire south plaza will be transformed into 55-acres of public “active spaces”. These active spaces will host a classic carousel, an amphitheater and a play space with a climbing wall. There will also be spaces reserved for picnics, concerts and other events. The design also includes the addition of variety of trees and plants native to the local area, with planting and horticulture by Piet Oudolf , who also lent his design talents to The Highline. We think London is pretty lucky to be receiving such talent! So for those of us who weren’t invited to the Olympic games this year- no worries- here is a reason to plan a visit to the park grounds for future years to come.